My family loves tradition. We have festivals and events for each season that we try to experience every year. A few weeks ago, I heard about a new pumpkin farm in Brownsburg and had to go check it out. And guess what? We found ourselves a new fall tradition! Hogan Farms Pumpkin Patch & Corn Maze is amazing! Locally owned and operated by Zach Frazee, they are in their fourth year for pumpkins, but new this year is a whole farm experience. We began our day with a hay ride. We wound our way through some beautiful countryside. We stopped to view some large black hogs. With only about 400 large blacks left in the nation, Hogan Farms is home to two. They are named Thelma and Louise and have piglets on the way! 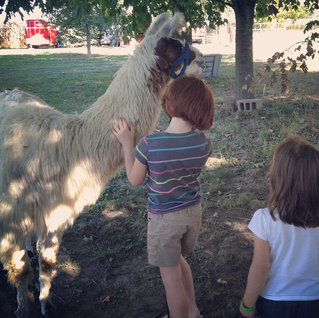 After our visit with the hogs, we traveled across the road to the Farm Animal Experience. And what an experience it was! The first animal to greet us was a llama on a leash. The kids had so much fun walking her around the yard. And I could tell the llama loved all the attention. Not to mention the handfuls of feed. In the barn, we visited some sheep and the cutest little piglets I&apos;ve ever seen. Catherine was our guide, and she talked about each animal and answered lots of questions. We were able to feed them, and we walked away knowing how each animal came to live on the farm and it&apos;s purpose. There were also facts about Hogan Farms and the animals posted in different areas. A true educational experience! It was then time for the sheep-herding demonstration. The dog of the hour was Cora, a Border Collie owned by Catherine Touloukian. I&apos;ve never seen anything like it! This dog can follow a few simple commands and a blow on a whistle and herd those sheep wherever Catherine told her. It really was something to watch! Catherine owns and operates Terranova Lamb, Pork and Beef and is a wealth of knowledge of life on the farm. After we were done, we loaded back into the wagon and headed to the patch. After a cold drink and refreshment, we decided to try our luck in the corn maze. Map in hand, we headed in. Not only can you weave your way through corn, you can also test your brain with trivia if you have a smart phone. At each check point, answer the question correctly and it will guide you on the right path. How fun! I&apos;ll admit the corn maze was a bit of a challenge. We heard several families who weren&apos;t able to get to the end and are vowing to come back and conquer. I&apos;m proud to say we made it, although not without strong debate somewhere in the middle on where to go. It was fun! The corn maze exits right into the pumpkin patch. You are free to grab a wagon and pick your own, or you can choose one already waiting for you. Either way, a pumpkin is a must! You can also find gourds, Indian corn, hay bales, snacks, apple cider and more. I highly recommend a trip to Hogan Farms Pumpkin Patch & Corn Maze. They are open now through Oct. 31. Hours for the pumpkin patch and hay ride are 11 a.m.-6 p.m., Monday through Friday and 10 a.m.-6 p.m., Saturday and Sunday. 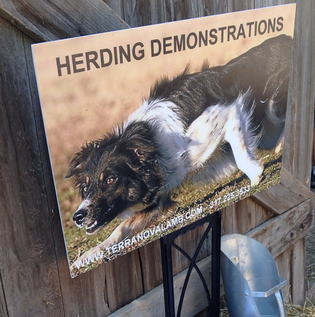 The Farm Animal Experience with the sheep dog demonstrations runs Friday, Saturday and Sunday only. 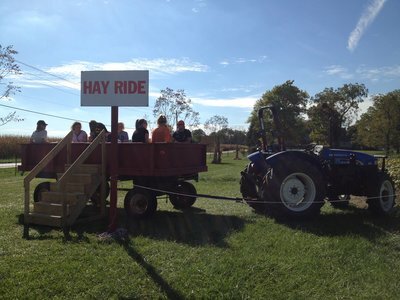 The hay ride is $4, and the corn maze and the Farm Animal Experience are $8 each. Because they are a seasonal business, they only accept cash or check. Wristbands are available Friday-Sunday for $16 and will allow you to experience all three. Children under 32" are free. They welcome field trips and group trips, too. 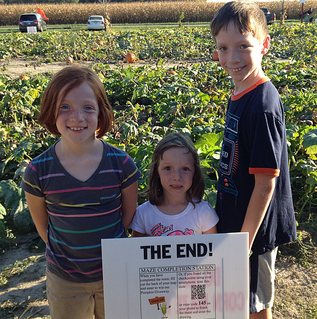 So grab the kids and head on out to Hogan Farms Pumpkin Patch & Corn Maze! A farm experience seasoned with warm, family hospitality you will not soon forget. Hogan Farms Pumpkin Patch & Corn Maze is located at 9110 E. County Road 1000 North in Brownsburg. You can also find them on Facebook.